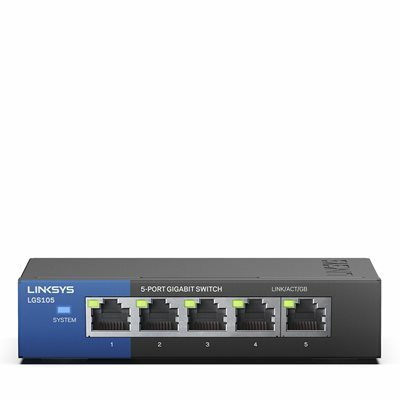 Learn how the 5-Port Gigabit Switch can accelerate productivity to Gigabit speeds, with QoS and plug-and-play configuration for ease of use. Accelerate your performance and productivity when you send large files to network servers, drives, and printers at Gigabit speeds. The auto power-down feature disables unused ports, smart power is ideal for short cable runs, and the port status switch controls LED lights.